Throw back to Mike’s awesome beard! We love this guy, with or without (magnificent) facial hair. On a slightly more serious note, we would like to offer a sincere thank you, not only to Mike, but to all of the amazing people who volunteer with us. We wouldn’t be able to do the things we do without our House Captains wrangling the troops and busting their butts to make sure our homeowners can be safe, warm, and dry. Happy New Year to all! Apologies for the lack of posts, but we’ve been up to our necks in projects. First and foremost, our Texas Street house is finished! At the end of October we had a successful ribbon-cutting day. 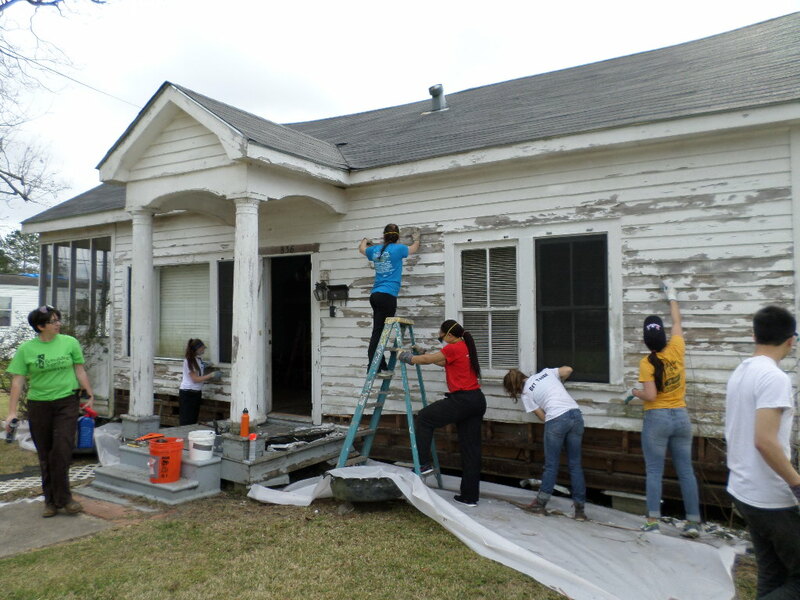 Some enthusiastic and helpful volunteers from Lafayette High came by in the wee hours of the morning on a Saturday to clean up all the sawdust and generally prettify the interior of the house. They also planted some beautiful flowers and trees in the front yard. By the time they were through, the house looked immaculate and we cut the ribbon! This ribbon-cutting signified a partnership with Habitat for Humanity and Rebuilding Together Acadiana, which will promote revitalization and teamwork in the McComb-Veazey neighborhood. We’re so excited to begin some great projects! Of course, the highlight of the day was the delicious spread of sandwiches and treats from McAllister’s. Big thanks to them for our sustenance. Another BIG thanks to Al and Mike, for trekking down from the far-off lands of Missouri to help out in a monster way. We love you guys! 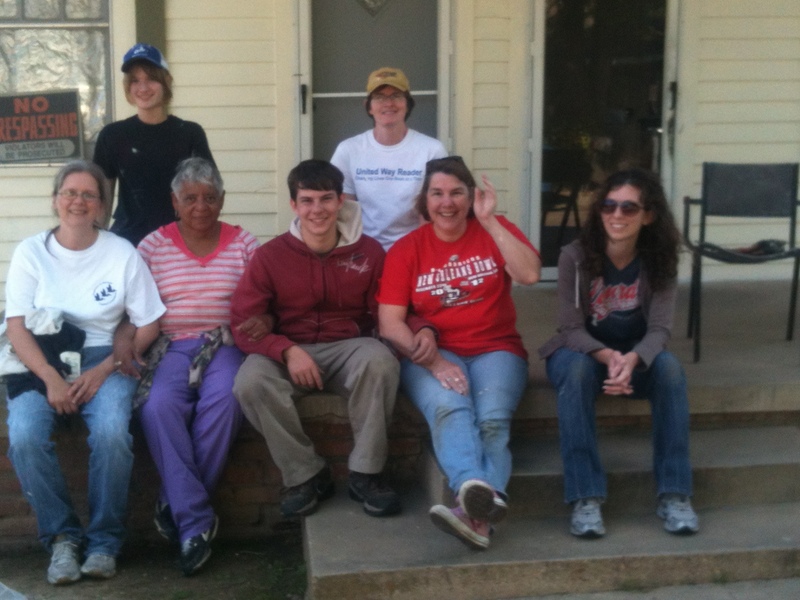 Later in the beginning of November, our amazing UL AmeriCorps members completed a weatherization project, in which we made several homes in Lafayette more energy-efficient and insulated for the upcoming colder months. 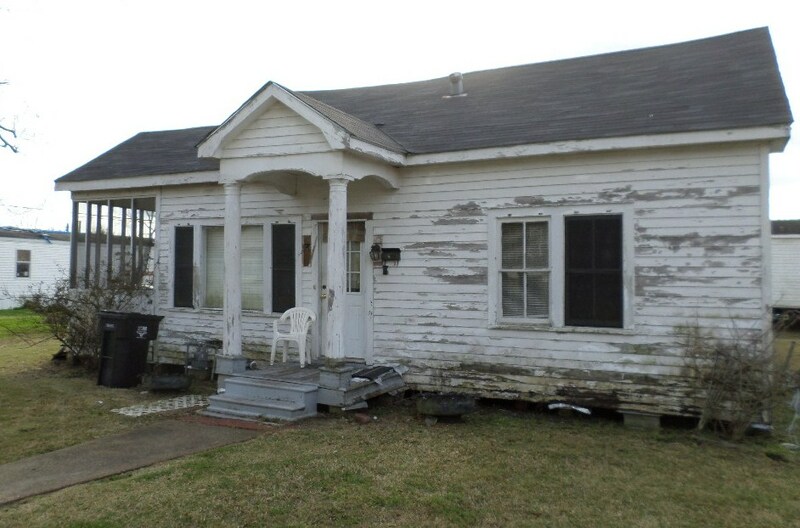 No draftiness for these homeowners, that’s for sure. 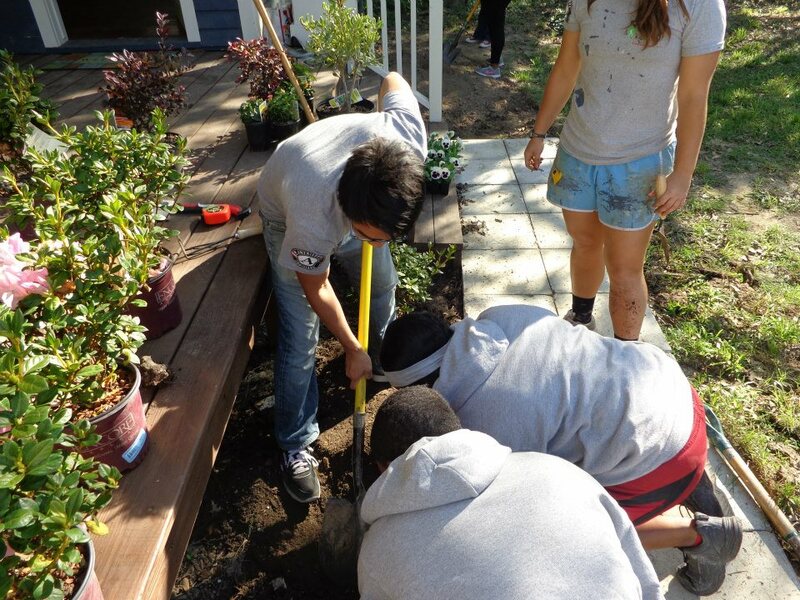 The crew spent the entire day caulking, sealing, changing lights, weatherstripping doors, planting trees, and much more. Our homeowners were happy, our volunteers did a great job, and the places looked great. Success all around! 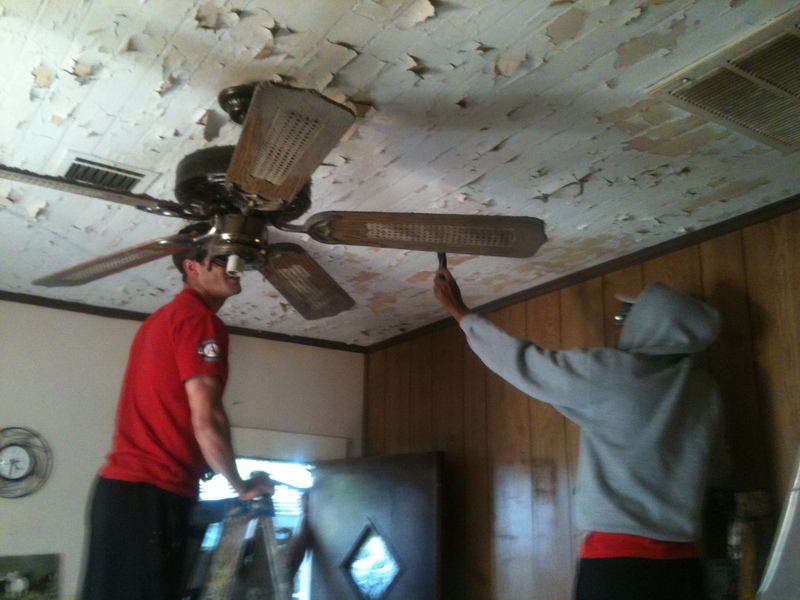 Last, but most definitely not least, we had a big Heroes at Home Project throughout the month of December. We picked a veteran in Crowley, Mr. James, who needed a bunch of repairs to his home after several hurricanes blew through and damaged part of the structure. 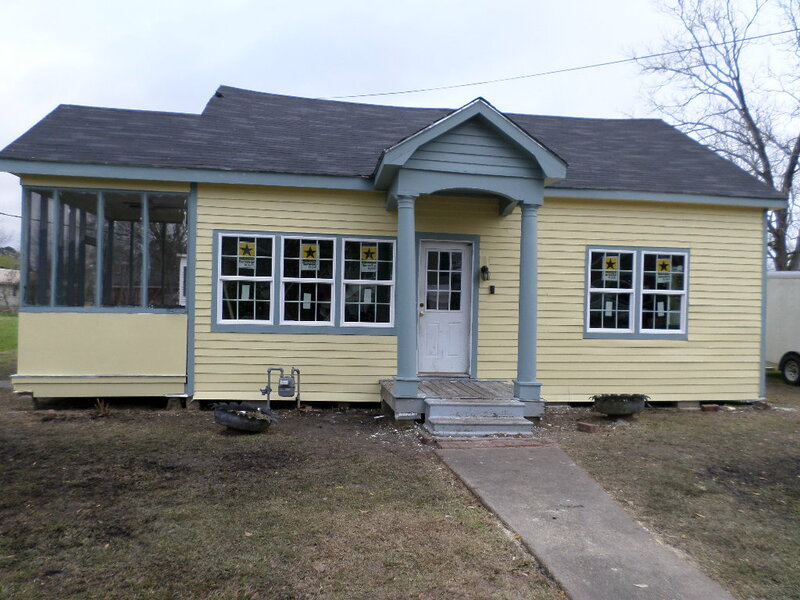 With volunteers new and old, we provided Mr. James with new wall paneling, several rooms worth of new ceiling, an energy-efficient toilet, new exterior and interior doors, and much more. Mr. James was the epitome of a gentleman, cooking us great southern lunches, and contributing his considerable construction knowledge. It was a great experience for all involved. 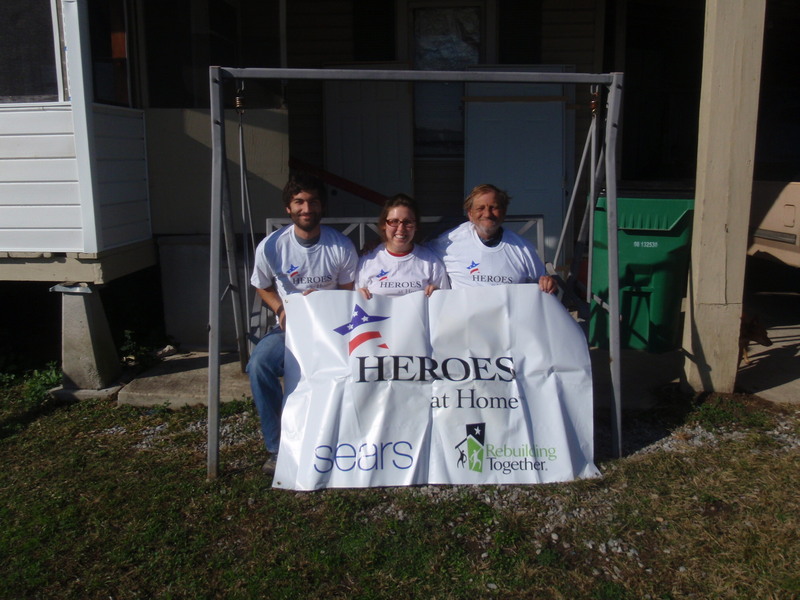 Big thanks to Sears for sponsoring this immensely successful project for a most deserving homeowner!